Be Brave tackles workplace numeracy, helping students understand percentages and other equations applicable to the workplace. However, it does so much more than that – building confidence, tackling bullying head on, helping people learn to speak out, and changing attitudes. At Griffins, this has had an enormous impact on the company, individuals, and their families. Let’s hear Maree’s story. 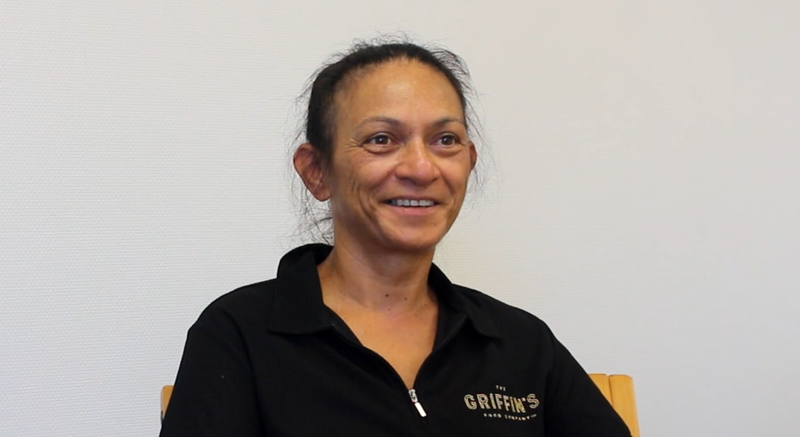 For Maree, Griffins is almost like home – having been there for 19 years (minus a few years break in the middle), she’s certainly an expert at running her machines. However, having taken a few years off recently, her supervisor felt she might benefit from taking part in the Be Brave programme. With no idea what to expect, Maree dived into the programme and put her heart and soul into her group’s project, which focused on changing the health and safety culture within Griffins. As for Maree, while she was thrilled to finally understand how to use percentages and fractions easily in the workplace, the biggest impact for her wasn’t about maths. “I didn’t know what to expect from doing it – I learned how to speak up when there’s something that there’s a right way of doing it. That’s what I got out of it – being satisfied that the managers do listen to what we have to say. For Maree, one of the most amazing things was seeing the changes in others, from colleagues she knew well to other employees she’d never even met. “There were three others (in my group) who I didn’t know. I found that I got to see their side of things, seeing the morning shift – each of them had a different way of dealing with things in their own life. 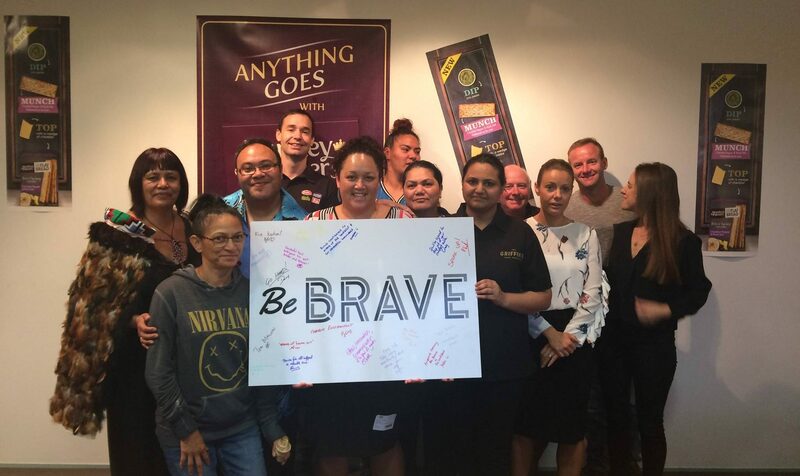 Moving on, Maree’s encouraging everyone who gets the chance to take part in Be Brave. Keen to get your people communicating more confidently? Contact us today to find out how you could get funding for workplace training.